Hundreds of workers at Chicago O’Hare International Airport have given travelers a break. 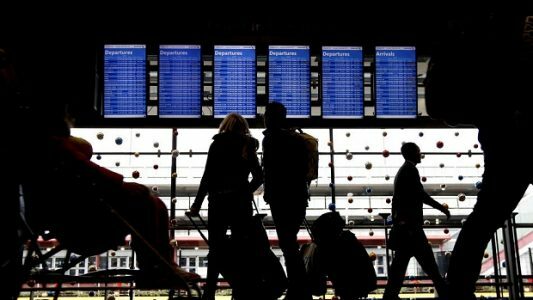 Originally planning a strike during the Thanksgiving holiday, one of the busiest times at one of the country’s busiest airports, a spokesperson for the group announced the planned action will now take place on Tuesday, Nov. 29, a day after most holiday travelers will have already moved through the airport. Janitors, baggage handlers, cabin cleaners and wheelchair attendants, who are not unionized but are working with the Service Employees International Union, are seeking a wage of $15 an hour. Some are paid minimum wage, which is $8.25 in Illinois. The city’s Aviation Department said it was committed to an “ongoing dialogue,” and it said it did not expect any disruption in service. The strike will not affect more critical airport operations, like security screeners or air traffic controllers, who are also unionized federal employees. To read more at the Chicago Tribune, click here.